New fuel pump only installed a month or so ago... has it failed already?! No - multimeter reveals nothing (bar a few millivolts) getting to the pump power connector on top of the tank. The inertial cut-off switch has been bridged, and there is continuity between the fuel pump connector and chassis ground, so it's not the pesky switch. All fuses check OK, relays on the BBoB rotated (surely one of them must be good?!). Fuse and relay sockets treated with my expensive 20 quid a can 'if all else fails' imported electrical cleaner (DeOxit). Is it the key (ALFA CODE) ? Key used was a newly minted clone of the master... and starting is no better with the master. Code light goes out = all OK, right? Probing the brown/green wire of S52 Camshaft sensor during turn-over shows the expected pulses (ignition off = flat-line, key pos 1 = flat line with a bit of ripple, ignition pos = line goes high then after around 1 sec of turning over dips to 0 for about 1/10th of the cycle then goes high again, and this repeats), so I think this is OK.
Next to be checked is the S31 RPM and Crankshaft Position sensor. The troubleshooting / spec at the back of the Motronic manual says the resistance between pins 1 and 2 should be 486 - 594 ohms. I measure 844 ohms on two different multimeters. So I all I have to go with is this - the crank / RPM sensor is out of spec due to fault, damp? or damaged wire. What do those present think? Why does it not do a prime pump..?? This is the thing that bothers me. It primes before even turning over so is it just because the ECU isn't getting a sensible signal even when not turning over, because of the too high resistance, it thinks 'no point even priming' .. But why doesn't stuff like this turn on an engine fault light on the dash?? Have you checked the inertial fuel cutoff switch? That caught me out a few weeks ago... it cuts the earth return from the fuel pump, so if you were checking the voltage across the power lead supplying the pump then you’d see 0V if the switch has tripped. Yep, but I forgot to put that in my original post. 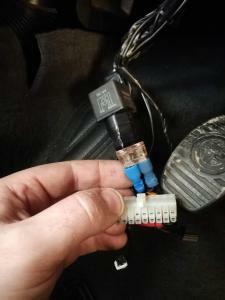 Since getting the car I have bridged the connector to rule out the switch while the car is being done up, to avoid any accidental switch tripping head scratching moments. 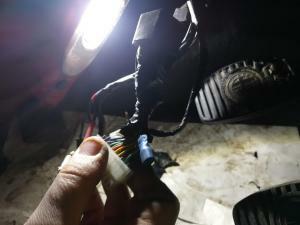 I checked the earth pin of the fuel pump connector to the chassis and there is continuity, so the wire bridge is working. I've done some research on the crankshaft sensor, and a lot of places are saying resistance is 860 ohms, which is roughly what I am measuring. Whereas the Alfa Motronic M2.10.3 (55-36A) spec says 486 - 594 ohms. Can somebody measure their '96 Cloverleaf's crank sensor resistance to see what ball park we are in ?? So maybe my sensor is OK, but it is out of alignment or there is something interfering with the pickup on the crankshaft teeth ? are you going to remove it then, for a cleanup donutty..? 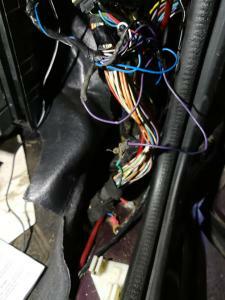 Given your CODE light is working correctly we can assume your engine ECU is working.  However - have you checked for any engine ECU errors using MultiECUScan or the like? 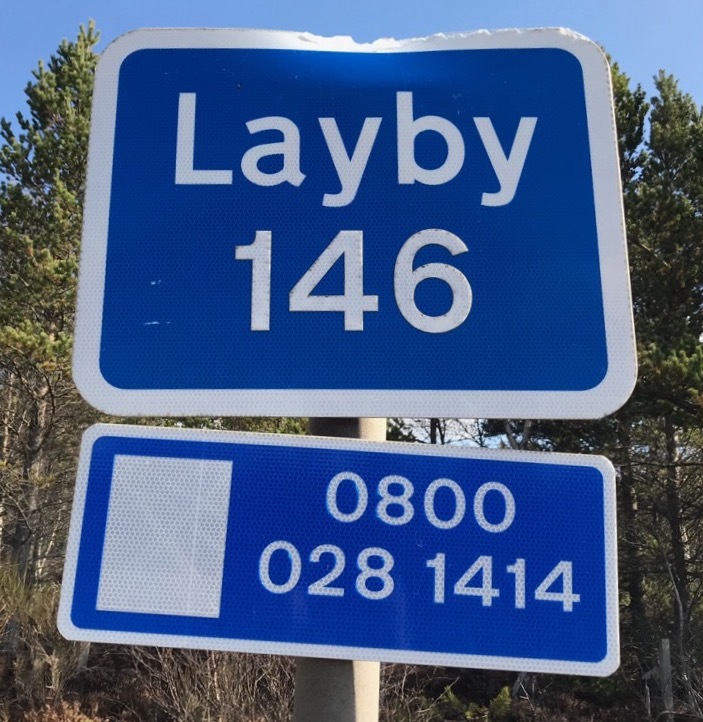 In any case, if you’re not getting power to the fuel pump, I’d go back and double-check the relays on the BBoB - bearing in mind that the power supply to the pump is reliant on a chain of two relays (the main relay, S41, which feeds S12a, the pump relay) - so you may have been unlucky when rotating the relays by keeping a bad relay in the chain. 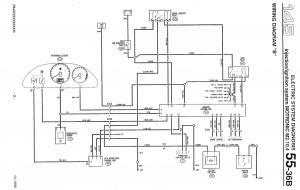 Look at the Motronic wiring diagrams in the workshop manual section here - you need diagram B at the beginning of the doc (note that Motronic 2.10.3 and 2.10.4 are slightly different). Chase the wiring through to relay S41 then S12a (both in the BBoB - you can only reliably identify them by the wiring colours) and test each relay. In the absence of any ECU errors, I reckon this is probably where your problem lies. Good luck! I'll not get chance until the weekend at least, but I will try to remove, clean and re-seat the RPM sensor, ensuring the correct distance to the 'phonic wheel'. I will also check the relays again for function, and the voltage / continuity at the sockets in BBoB. Could somebody please remind me if I am correct or not.. the Alfa CODE only stops the spark plugs firing if it isn't happy, right? (or should I say, it tells the ECU it isn't happy and the ECU's response is not firing the plugs). The ECU's reaction is not to kill the spark AND the fuel? The fuel cutoff signalled by the ECU would be for safety (in conjunction with the inertial switch), fuel not required since the engine is not turning, or fuel not required because it thinks that there is enough at the injectors already... ?? Wouldn't it still command a fuel priming squirt, even if the engine is not being turned over though? I thought that it did the priming at key position 1 (ignition on, but not going for start), and since the engine isn't being turned over, how does it know that the cam and crankshafts are not turning, and therefore why bother injecting fuel? Unless the signal from one of these is so out of whack that it thinks 'why bother with fuel, this thing is never going to get started' ??? But then why no warning light?? I know its probably very simple, but there are dozens of things that all need to be synchronised exactly to get the engine running. Minefield! Thanks for your hand holding so far. Don't let go !! "there are dozens of things that all need to be synchronised exactly to get the engine running"
I meant all the things that branch out from there, like the Code, relays etc. hopefully most of which I have ruled out ... I hope. Maybe not synchronised then, but they have to work in some semblance of order. To get 12V to the fuel pump you need the ECU to provide an earth at pin 36 (which activates the main relay S41) and at pin 3 (which activates the fuel pump relay S12a - incorrectly labelled "variator relay" on the below diagram). 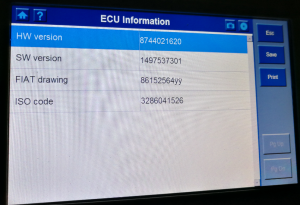 Now - does this mean the ECU will not provide the priming pulse to the fuel pump when you first turn the ignition on unless it's happy that there are no errors on the rest of the system? I don't know. But I'd check for error codes in your diagnostic tool before removing the crank sensor - and if there are none then I'd still suspect the relays S41 and S12a first. ... especially as they are much more accessible than the crank sensor...! I'll have a look. Still got my old sensor and the one on the 147 that failed. The 145 did not fail but I thought it prudent to replace when I took my Bella off the road. Everybody stand down! It's fixed. After probing the output of the fuel pump relay in the BBoB and seeing nearly 12v - showing that 3/4 of the electrical chain was working, I suspected the link between the engine bay and the fuel tank to be the crux of the problem. Half an hour spent looking for the mythical G133b connector that interfaces the engine bay loom to the loom that goes to the rest of the car, and not finding it (the service manual seems to suggest it is somewhere near the forward bulkhead, and a search of this forum has another user suggesting on a Ph.2 it is near the throttle body - mine is Ph1 and it could not be found there), I started looking at all the connectors under the dash near the drop-down fuse board. Now, this was not the work of the good people at the Pomigliano d'Arco factory... this is East Midlands bodging at it's finest. There is a blue crimp flag connector, and above that you can see a lone wire sticking up. That used to go to another crimp connector which was attached to the other side of a 7.5A fuse, the other side going to the still attached blue connector. I had no idea that this circuit was to do with the fuel pump... it shouldn't be.... but it seems somebody took the live feed from the fuel pump wire to power some gizmo or whatnot (maybe a car phone, or separate amplifier ?). There is also evidence of a high-power ICE install (very high current live wire run along the sills to the boot) so I suspect one previous owner was an enthusiastic but not all that competent connoisseur of things that go thump. There is also a 12V relay and some other 20 pin rectangular connector, so who knows?!! I put another connector on this straggling wire and put the fuse back in circuit and he fired up on the first turn of the key!!! Brum brum again and a couple of pints were consumed to celebrate!!! Oh, and of course I'm not going to just do a patch up job... this whole wiring shambles needs looking at and where safe and sane to do so, will get removed. Wow. That's a real horror show! I know you don't need the info but I did carry out a check on my RPM sensors. Strangely my resistance values are different from the ECU diagram but they work. 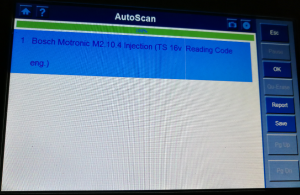 Looking at the manual and my last ECU diagnostics using Fiat Multiscan my ECU is a Motronic 10.3 but the RPM resister values I get are are from a Motronic 1.5.5. Don't know if this is an Italian thing.. Anyway my RPM values from my new sensor is around 900. Was 1109 ohms when I actually measured but the engine was still warm; the resistance value goes up when the RPM sensor gets warm. My old sensor (cold) is showing 864 which is actually fine. My 147 1.6TS RPM sensor is showing 990 ohms. All these values fall within the tolerance of the Motronic 1.5.5 specifications even though I have the 10.3 ECU. I've had no issues with the sensor. As Giallo said in an old thread the Bosch rpm sensors all seem to be 860 +/-10% Ohms. When my 147 sensor failed the engine cut out and an ECU failure message came on the dash. when the sensors are on the way out they usually stop working when the engine gets hot. Once the engine had cooled a bit it would start up again. Replacement job was fairly easy to do. glad to hear that's worked out! Yeah I know, an ATX power supply. do you still have a working alarm system, and remote-locking donutty? Excellent - glad you found the problem. G133a might be somewhere under the centre console - certainly this is the case with the Phase 1 Spider with the same ECU. It’s a 6-way connector in black plastic. Thankfully I don't think I need to find G133 a / b just yet, and it may have even been chopped off and became that mess that you see!!! No, there is no alarm or remote locking. I de-installed an after-market alarm with ultrasonic sensors and a pin-pad in the cabin. There was a sounder in the boot and the engine bay. I'm not even sure if there is any (non-remote) central locking working as the driver side door lock doesn't function properly. And yes... it really does look like an ATX power supply connector that somebody has re-purposed!! !